Salmon does great in an Airfryer. 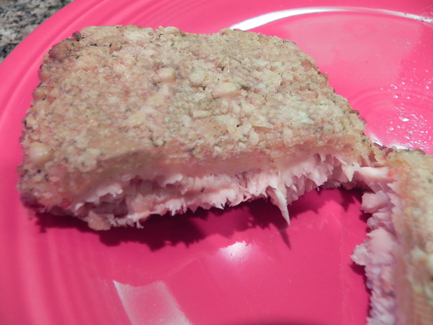 Fish is one of my favorite healthy meals to make in an Airfryer. Just preheat Airfryer for 3 minutes at 350 degrees F; cook salmon for 10 to 12 minutes for 2 salmon fillets. If you are just cooking one fillet, there is plenty of room for some frozen french fries. Cook until salmon flakes easily with a fork. Preheat Airfryer for 3 minutes at 350 degrees F.
In a bowl, combine breadcrumbs, spices or seasonings and oil, stirring until well mixed. In a separate bowl, beat egg. 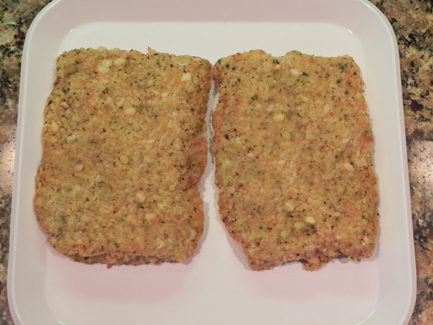 Dip salmon fillets in the egg mixture, then in the breadcrumb mixture. Be sure each fillet is fully coated with breadcrumbs. 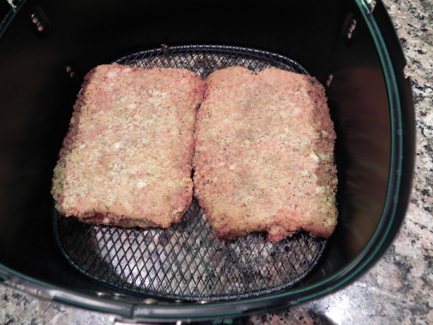 Place fillets in the basket of the preheated Airfryer. Cook for 10 to 12 minutes at 350 degrees F or until fish flakes easily with a fork. *NOTE: I use a Philips Airfryer in all the Airfryer recipes.